Instagram users will like this news. If you’ve been looking for Instagram Stories to watch aside from the ones your friends make, you now have more choices now. For awhile now Instagram has been slipping Stories into the Explore tab for a limited number of users, but now it is making the feature available for everyone to use. All you have to do is just visit the Explore tab and you’ll see a section full of suggested stories that are personalized to your interests. So these are going to be stories that you like. Just like before, this will help Instagram as much as it helps you. The idea is that if you have a steady stream of new Stories to watch, you’re more likely to hang around instead of going elsewhere, like say, over to Snapchat, their main conpetitor. 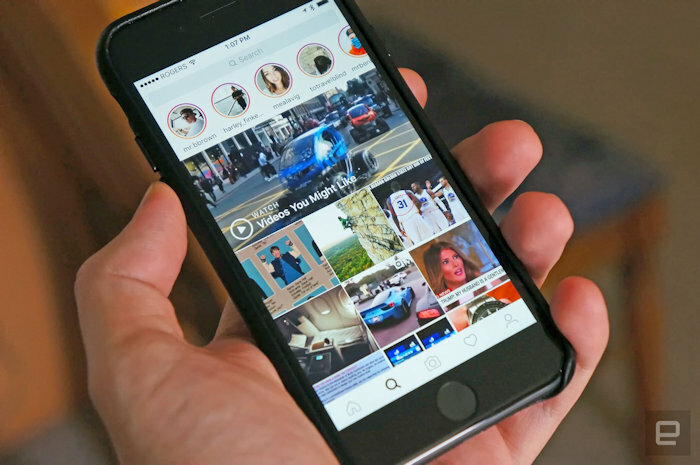 This new move should also help grow Instagram’s already sizable user base because newcomers will have more people to follow even if they’re not all that interested in the usual stream of photos and videos. It is a smart move by Instagram. One that should pay off in the long run, but we will have to see how it goes.